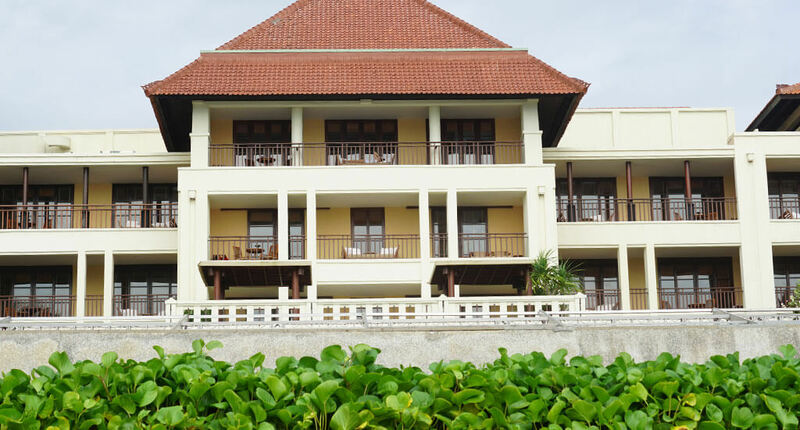 The Legian Resort at Legian Beach/ Seminyak is one of the real classics in Bali. 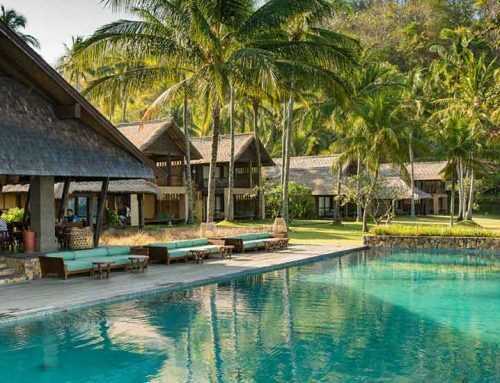 At this location Balinese culture and minimalistic interior design meets French lifestyle and exclusive perfection. There’s no better program in paradise than enjoying the colorful sunset on your private balcony lying on a daybed and listening to the traditional gamelan music. 67 sea-facing suites plus The Beach House create an outstanding tropical and timeless lifestyle. 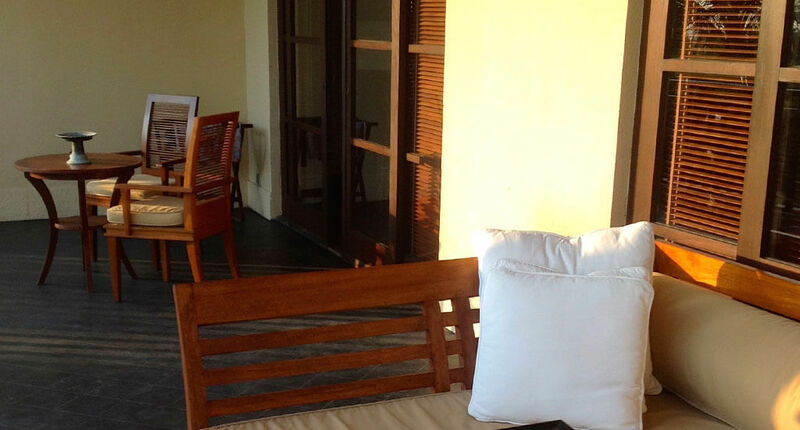 All suites have their own private balcony including a daybed while The Beach House is Bali’s ultimate waterfront address. 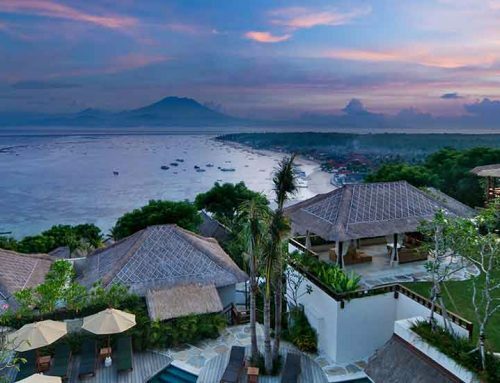 Just across the street there is The Club at The Legian that consists of eleven one-bedroom-villas and three two-bedroom-villas. All of them have a private pool and butler service to guarantee your privacy. All suites provide an exclusive and timeless design and offer Wifi, LCD TV, air condition, mini bar, coffee-/tea making facilities, hair dryer, bath amenities, in-room safe, and a daybed on the balcony. Of course, there is also a spa, a library and a restaurant with a terrifique sea-view terrace. 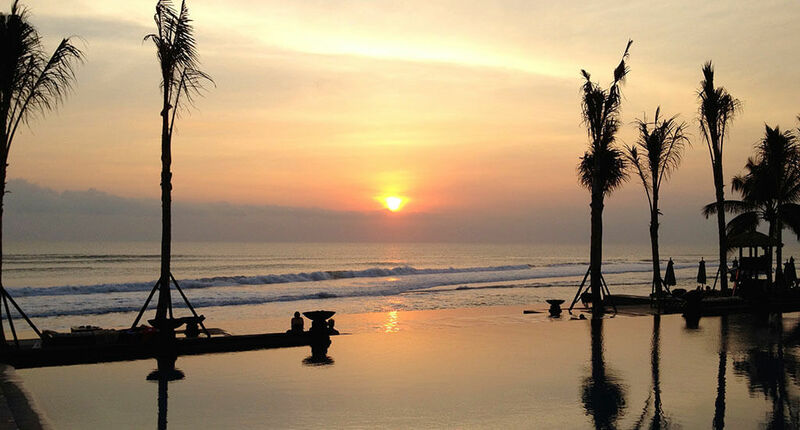 Between beach and main building guests find two iconic infinity pools that reflect the sunset in the early evening. The Indian Ocean is simply too rough even for the strongest swimmers and it’s a great advantage to have a cristal-blue pool. 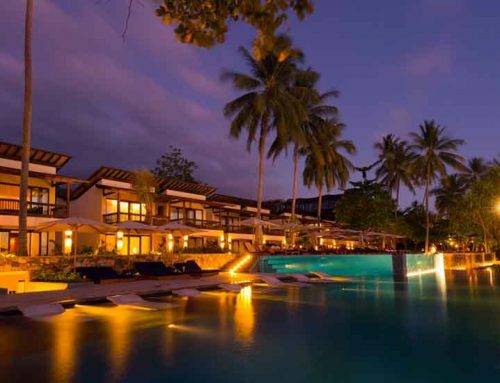 Later in the evening the pool gets surrounded by fire bowls to color the fine dining experience in warm lights. 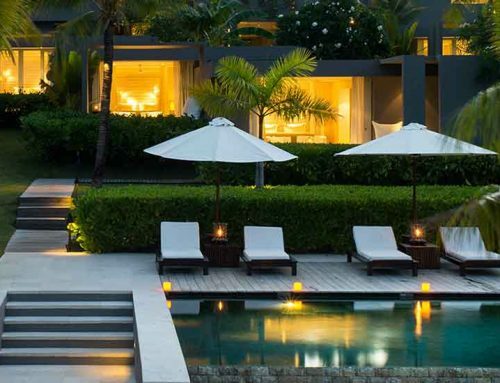 A gread highlight at The Legian is the fine dining experience on the poolside terrace. Starting the evening with a sunset cocktail, you will be in love with the shimmering waves of the Indian Ocean and its soft reflections in the infinity pool. The cuisine of The Legian surprises you with an harmonic mixture of French and Southeast Asian flavors based on ingredients from the garden, sea and farm. Also for breakfast and lunch, it’s a great place to eat. The morning menu provides you a world tour from French toast and egg Benedict to Indonesian Nasi Goreng and tropical fruits. 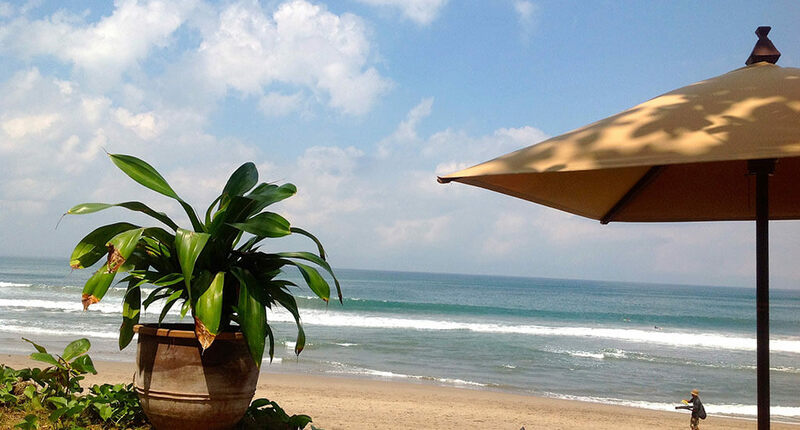 The location on the famous Legian Beach is central and in very short walking distance to the Kudeta Beachclub. Nevertheless it’s a more private and relaxed place because you don’t have to listen to the club sounds all day. Twice a day you get traditional gamelan music, that gives you a very Balinese feeling but it’s never too intense. 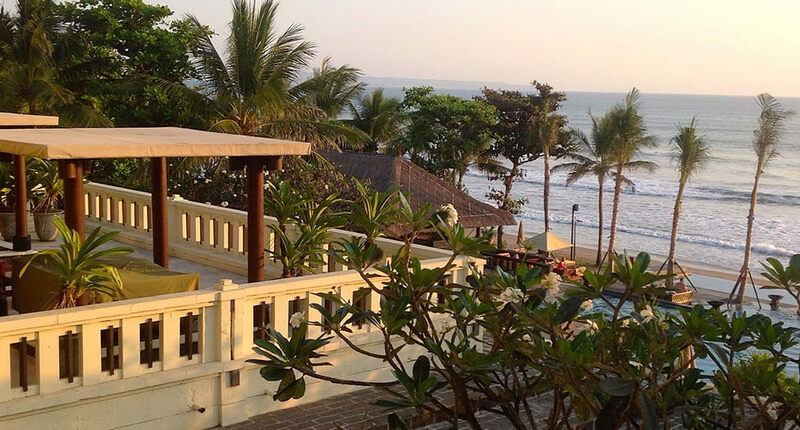 The Legian is a great getaway for honeymoon, couples in love or also families – as long as the children are old enough not to look for special children programs.